Grey Agate is a natural form of Agate. Agate is a microcrystalline variety of silica, chiefly chalcedony, characterised by its fineness of grain and brightness of colour. Although agates may be found in various kinds of rock, they are classically associated with volcanic rocks and can be common in certain metamorphic rocks. 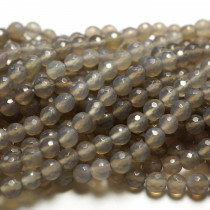 Grey Agate Faceted Round 6mm Gemstone Beads (~66pce Strand) - 40cm/16'" Strand. 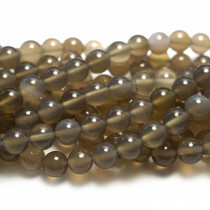 Grey Agate Faceted Round 8mm Gemstone Beads (~50pce Strand) - 40cm/16'" Strand. 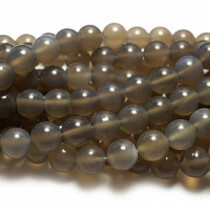 Grey Agate Faceted Round 10mm Gemstone Beads (~40pce Strand) - 40cm/16'" Strand. 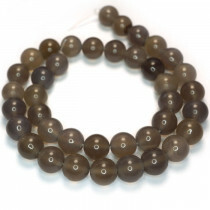 Grey Agate Round 6mm Gemstone Beads (~66pce Strand) - 40cm/16'" Strand. 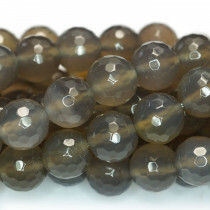 Grey Agate Round 8mm Gemstone Beads (~50pce Strand) - 40cm/16'" Strand. 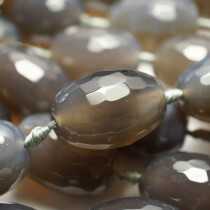 Grey Agate Round 10mm Gemstone Beads (~40pce Strand) - 40cm/16'" Strand. 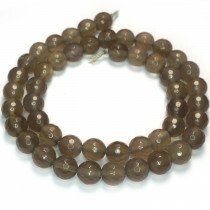 Grey Agate Large Faceted Rice (18x31mm) Gemstone Beads (~12pce Strand) - 40cm/16'" Strand.